This analysis includes all patients with a primary diagnosis of Anorexia Nervosa (AN) who participated in an evaluation followed by a minimum of one therapy session with me between the start of my practice in 2009 and spring 2017. Given that this is an analysis of end of treatment outcomes, patients who are currently in treatment with me were not included in this sample. Patients and families whom I saw only for evaluations or consultations rather than treatment were not included in this sample. The sample includes 60 individuals (93% female) who ranged in age from 10 – 37 years old, with a median age of 16 and a modal age of 13. The majority of patients identified as Caucasian (69%) or Hispanic (29%), with less than 3% identifying with other racial/ethnic groups. Twenty percent of patients in this sample met criteria for the Binge-Purge Subtype of AN, while the remaining 80% had Restricting Subtype. Half of patients in this sample had a comorbid diagnosis. The two most common comorbid diagnosis were ADHD and Major Depressive Disorder, with 13% of patients meeting criteria for each of these disorders. Duration of illness before beginning treatment with me ranged from 2 months to 21 years, with older patients, on average, having been sick for a longer duration of time. The mean duration of illness before entering treatment with me was just under 3 years. Most patients had a history of unsuccessful outpatient treatment with other providers prior to beginning treatment with me. In addition, 28% percent of patients had a history of hospitalization for AN prior to beginning treatment with me and 15% had a history of residential treatment. Ten percent of the sample paid a reduced rate for services due to financial need. What follows is a summary of treatment outcomes. For a more detailed description of treatment outcomes for patients with AN, click here. 95% of child and adolescent patients received Family-Based Treatment (FBT). The remaining 5% received individual therapy. 40% of patients over age 18 received FBT, either alone or in conjunction with individual therapy. The remaining 60% received individual therapy. Some adolescent FBT patients received individual therapy for a co-morbid condition after their course of FBT was complete. All patients received medical monitoring by their physician during treatment with me. 58% of patients took psychotropic medication at some point during their treatment with me. Average number of sessions attended was 23. Average duration of treatment was 13 months. 97% of patients who completed treatment achieved full recovery. The remaining 3% achieved physical remission. Patients with co-morbid conditions required more sessions, on average, than those without co-morbid conditions. Patients who recovered with individual therapy took longer, on average, to achieve weight restoration than those who recovered through FBT. 26% of patients dropped out of treatment prematurely. For treatment drop-outs, there was a significant correlation between length of time spent in treatment and progress made. All treatment dropouts who were in treatment with me for at least 2 months had made significant progress at the time of drop-out. Patients who dropped out of treatment after one month or less had not made any progress at the time of drop-out. Recovery status was assessed for each patient as of his/her final session with me, regardless of the reason for treatment ending. The statistics listed below are for the entire sample of patients, including those who completed a full course of treatment, those who dropped out prematurely, and those who were referred to other providers due to a geographic move or a need for a different level of care or type of care. Completion of a full course of treatment: 97% of those who completed treatment achieved full remission. Younger age (Children under 13 had the highest rates of full recovery, followed by adolescents ages 13-17). Patients receiving FBT were almost twice as likely as those receiving individual therapy to achieve full recovery. Males were more likely to achieve full recovery than females. Patients with Restricting Anorexia Nervosa were more than twice as likely as those with Binge-Purge Anorexia Nervosa to achieve full recovery. Patients taking psychotropic medication during treatment were somewhat more likely to achieve full recovery than those who did not take psychotropic medication. Patients who paid full rate for treatment were somewhat more likely to achieve full recovery than those who paid a reduced rate due to financial need. Caucasian (non-Hispanic) patients were somewhat more likely than Hispanic patients to achieve full recovery. This analysis includes all patients with a primary diagnosis of a mood disorder who participated in an evaluation followed by a minimum of one therapy session with me between the start of my practice in 2009 and spring 2017. Given that this is an analysis of end of treatment outcomes, patients who are currently in treatment with me were not included in this sample. The sample includes 34 individuals (29 females and 5 males) who ranged in age from 12 – 59 years old, with a median age of 20. The majority of patients in this sample (65%) had a primary diagnosis of Major Depressive Disorder. Other primary diagnoses included Unspecified Depressive Disorder, Bipolar Disorder, Mood Disorder Not Otherwise Specified, and Persistent Depressive Disorder (formerly known as Dysthymia). More than half of these patients (56%) had a secondary diagnosis. The most common secondary diagnoses were anxiety disorders. Other secondary diagnoses in this sample included ADHD, eating disorders, and PTSD. Approximately 30% of the sample had a history of psychiatric hospitalization, most commonly for suicide attempts or suicidal ideation, prior to staring treatment with me. The length of treatment varied dramatically, from one week to 3.7 years. Number of sessions attended also varied dramatically, from 1 session to 135 sessions. The broad range of treatment duration and sessions attended reflects the reality that some individuals decided not to proceed with treatment after one or two sessions, whereas other individuals attended sessions off and on, as needed, for the duration of their high school or college years. The average duration of treatment was 11.9 months and the average number of sessions attended was 28. So, a typical patient with a mood disorder attended approximately 28 sessions over the course of one year. The type of treatment received was tailored to the individual patient, based on his or her presenting symptoms, circumstances, age, and preferences. Forty-one percent of patients received Cognitive-Behavioral Therapy (CBT), 18% received a Dialectical Behavior Therapy (DBT) skills-based approach (NOT a comprehensive DBT program), 30% received integration of CBT and supportive counseling, and 11% interpersonal psychotherapy or supportive counseling. Level of family involvement varied depending on the patient’s age, presenting symptoms, preferences, and living circumstances. For the purposes of this assessment, high level of family involvement means that at least one family member attended all or most sessions with the patient. Moderate level of family involvement means that family members attended some sessions and maintained ongoing communication with me throughout treatment. Low level of family involvement means that at a family member was involved in the evaluation and/or at least one session, but most sessions were individual. Among all patients in this sample, 18% had a high level of family involvement, 21% had a moderate level of family involvement, 18% had a low level of family involvement, and 44% had no family involvement. Degree of family involvement was higher, in general, for adolescent patients than for adult patients, with all patients under age 18 having at least some family involvement in their treatment. Fifty percent of adolescent patients (under age 18) had a high level of family involvement, while 42% had a moderate level of family involvement and the remaining 8% had a low level of family involvement. Nearly ¾ of patients saw a psychiatrist and took psychotropic medications during treatment. Nearly ¼ of patients were hospitalized during treatment, most commonly for suicidal ideation or suicidal gestures. Of all patients who began treatment with me for a mood disorder, 15% achieved complete recovery, 24% made significant progress, 41% made some progress, 15% made no progress, and 6% regressed. For a detailed description of what terms such as “complete recovery” and “significant progress” mean, please see this blog post from 2013. Eighteen percent of patients completed a full course of treatment with me. Completing a “full course of treatment” was defined as a mutual ending in which the patient, his/her family (in cases where family was involved) and I mutually agree that treatment goals have been met and treatment is no longer needed. Of these “treatment completers,” 83% achieved full recovery and the remaining 17% made significant progress towards treatment goals. The length of time required to complete a full course of treatment varied dramatically from person to person, depending on symptom severity and progress in treatment. Time required to complete treatment ranged from 1 month to 3 years, with a mean of 16.6 months. Likewise, number of sessions required to complete treatment varied dramatically between individuals. Number of sessions attended for treatment completers ranged from 4 – 96 sessions, with an average of 23 sessions. So, on average, individuals who were most successful in treatment (e.g., those who completed treatment and achieved full remission from their mood disorders) attended an average of 23 sessions over the course of 16 months. Fifteen percent of patients moved to another geographic location during their treatment (either to attend college or to live elsewhere permanently), prior to completing a full course of treatment with me. As of their last session with me, 60% of these “movers” had made significant progress in their treatment and the remaining 40% had made some progress. These individuals were referred to other treatment providers in near their universities or new homes for continued treatment. The dropout rate for patients with mood disorders was fairly high: 50% of patients discontinued treatment with me prematurely. As of their last session with me, 18% of these “discontinuers” had made significant progress towards treatment goals, 59% had made some progress, and 24% had made no progress. On average, individuals who discontinued treatment sooner made less progress, while those who remained in treatment longer made more progress towards their treatment goals. Three quarters of the individuals who made no progress dropped out of treatment after just one or two sessions, and the remaining one quarter dropped out after 5 sessions. In contrast, those who made significant progress prior to dropping out of treatment attended an average of 20 sessions. I do not have data on what happens to patients after they discontinue treatment, so this is purely speculation, but I believe several factors contribute to the high dropout rate among patients with mood disorders. First, depression frequently interferes with a person’s motivation and ability to carry out tasks, and tends to make people hopeless and pessimistic. Individuals with these symptoms may have a more difficult time persisting towards a goal, such as scheduling appointments and continuing with treatment over a number of months, and they may feel less hopeful about having a positive outcome in treatment. Second, some patients and families may be satisfied with “good enough,” and may drop out of treatment after making good progress but before achieving all treatment goals. In contrast, I have high standards for my patients: I believe that full recovery is possible for most people, and when full recovery does not seem achievable, then a full and meaningful life with well-managed symptoms is an alternative good outcome. I work diligently with patients and their families in pursuit of these goals. Eighteen percent of patients with mood disorders were referred to other clinicians who could better meet their needs. I made these referrals when a patient was not progressing in treatment, and when it did not appear likely that they would make progress in the near future. As of their last session with me, 17% of referred patients had made significant progress, 33% had made some progress, 17% had made no progress, and 33% had regressed. Not surprisingly, completion of a full course of treatment emerged as a strong predictor of positive treatment outcome. 83% of individuals who completed treatment achieved full recovery, while the remaining 17% made significant progress towards treatment goals. None of the individuals who discontinued treatment prematurely achieved full recovery. Another strong predictor of positive treatment outcome in this sample was referral source. Eighty percent of individuals who achieved full recovery were self-referred (e.g., they found my practice through an online search), while the remaining 20% were referred by word of mouth (e.g., by a friend). In contrast, none of the individuals who were referred to my practice by their psychiatrist, pediatrician, or another therapist completed a full course of treatment or achieved full recovery, although a number of them made significant progress. My interpretation of this finding is that individuals who proactively sought my services of their own volition may be especially dedicated to improving their mental health, more invested in their treatment, and thus more likely to persevere through a full course of treatment and achieve recovery. In the case of self-referred adolescents, their parents were the ones who actually brought their children to treatment. These parents, on the whole, were particularly attuned to their child’s needs and struggles, researched their child’s symptoms and the variety of treatment approaches available, sought my services proactively, and were especially motivated to help their child recover. Perhaps this parental conscientiousness, attunement, and empowerment helped facilitate recovery for their children. Level of family involvement in treatment predicted treatment completion and full recovery for adolescent patients but not for adult patients. All of the adolescents who completed treatment and recovered had moderate or high levels of family involvement. In contrast, 75% of the adults who completed treatment and achieved full recovery had no family involvement in their treatment, while the remaining 25% had a low level of family involvement. Individuals who took psychotropic medication were somewhat less likely to recover than those who did not: 40% of individuals who achieved full recovery were taking medication during treatment, whereas 76% of individuals who did not achieve full recovery were taking medication during treatment. It is unlikely that taking psychotropic medication caused patients to have a worse outcome. I believe the most likely explanation for this finding is that taking psychotropic medication is a marker of severity: individuals with more severe forms of mood disorders (e.g., Bipolar Disorder, Severe Recurrent Major Depressive Disorder) are more likely to need medication and are perhaps less likely to achieve complete remission of symptoms. Hospitalization during treatment emerged as a predictor of less favorable outcome. None of the individuals who were hospitalized during their treatment with me completed a full course of treatment or achieved full recovery. It is unlikely that being hospitalized actually caused patients to quit treatment or caused them to make less progress in their treatment. It is more likely that hospitalization, like taking psychotropic medication, is a marker of severity, and those individuals with more severe illnesses are less likely to experience complete remission of symptoms. The following variables did NOT predict treatment outcome: age, gender, ethnicity, duration of illness, diagnosis, presence of co-morbid diagnoses, rate paid for services, type of treatment received, or history of hospitalization prior to starting treatment. In an effort to improve the quality of services I offer, and in the service of full transparency to those who seek treatment, I am committed to compiling and sharing outcome data every few years on the patients I have treated. The last time I compiled and shared my treatment outcome data was in 2013, so it is time for another round, this time with a larger sample to describe. This analysis includes all patients with a primary diagnosis of an anxiety disorder who participated in an evaluation followed by a minimum of one therapy session with me at any time between the start of my private practice in 2009 and spring of 2017. Given that this is an analysis of end of treatment outcomes, patients who are currently in treatment with me were not included in this sample. This sample includes 16 patients, all female, who ranged in age from 10 – 42 years old, with a median age of 20. Seventy-five percent of these patients were treated with Cognitive-Behavioral Therapy (CBT), while the remaining 25% of patients were treated with supportive or client-centered therapy. Length of treatment and number of sessions attended varied considerably among these individuals. The vast majority of patients were in treatment with me for somewhere between 2 – 19 months and attended somewhere between 3-17 sessions. The median duration of treatment was 4.5 months, and the median number of sessions attended was 12. Degree of family involvement varied based on the patient’s age and living circumstances. All patients under age 18 had at least a moderate level of family involvement, and 83% of patients under age 18 had a high level of family involvement. Patients of college age had low- to moderate levels of family involvement, and most adult patients in their 30’s and 40’s had minimal, if any, family involvement. Forty-four percent of patients were taking psychotropic medication, prescribed by their psychiatrist, during their treatment with me. None of the patients in this sample were hospitalized during the course of their treatment with me. Of all patients who entered treatment with me for anxiety disorders, 44% percent recovered completely from their anxiety disorder, while 38% made significant progress in terms of reduction of symptoms and improvement in functioning, and 19% made some progress towards recovery. In sum, all of the patients in this sample made at least some progress towards their treatment goals. For a detailed description of the criteria used to determine “full recovery,” “significant progress,” and “some progress,” see this blog post from 2013. Half of the patients who entered treatment with me for anxiety disorders completed a full course of treatment. Completing a “full course of treatment” was defined as remaining in treatment until the patient, her family (when involved), and I collaboratively agreed that treatment goals had been met and further treatment was not needed. The number of sessions required to complete a full course of treatment ranged from 3 – 25 sessions, with a median of 4 sessions. The duration of treatment for those who completed a full course of treatment ranged from 1-19 months, with a median duration of 3 months. Of those who completed a full course of treatment, 88% achieved full recovery and 12% made significant progress since starting treatment. The remaining half of patients did not complete a full course of treatment with me, either because they quit treatment prematurely, they moved to another geographic location, or I referred them to another clinician. Among those who did not complete a full course of treatment, 63% had made significant progress in their recovery at the time they left treatment with me, and the remaining 37% had made some progress. It is important to note that I do not have data on what happens to patients after they leave my practice, so these treatment outcomes are based on an assessment of the patient’s symptoms and functioning as of the last session they attended with me. It is possible that some individuals who left treatment prematurely achieved full recovery later on their own, or in treatment with another clinician, after leaving my practice. It is also possible that some individuals experienced a worsening of their condition after leaving treatment. A high level of family involvement in treatment emerged as the strongest predictor of successful treatment outcome. 100% of patients who had high levels of family involvement in treatment completed a full course of treatment and achieved full recovery. Completion of a full course of treatment was the second strongest predictor of successful outcome. 88% of patients who completed a full course of treatment achieved full recovery from their anxiety disorder. The remaining 12% of treatment completers had made significant progress since the start of treatment. Younger age was also a predictor of successful treatment outcome. Younger age was strongly correlated with both high family involvement and completion of treatment. Other factors associated with successful treatment outcome include shorter duration of illness, good attendance at therapy sessions, paying full rate for services, and being self-referred to my practice. Not surprisingly, discontinuing treatment prematurely was associated with less favorable outcomes. Even so, 63% of individuals who discontinued treatment prematurely had made significant progress since beginning treatment with me, and the remaining 37% had made some progress. These data indicate that the majority of individuals with anxiety disorders experienced significant benefits from treatment in terms of reduction of symptoms and improvement in functioning, whether or not they completed treatment a full course of treatment. Other factors strongly associated with a less favorable treatment outcome included the presence of a comorbid diagnosis, taking psychotropic medication during treatment, and being referred to my practice by a psychiatrist. Interestingly, these three factors were strongly correlated with one another: all of the individuals who were referred to my practice by their psychiatrist were taking psychotropic medication and 80% of individuals referred by their psychiatrist had comorbid diagnoses. The following factors were modestly associated with less favorable treatment outcomes: older age, longer duration of illness, lower levels of family involvement, poor attendance at therapy sessions, and paying reduced rate for services. Again, these factors tended to co-occur with one another, and also tended to co-occur with the three negative prognostic factors listed above. These statistics reflect overall trends, not absolutes. Some individuals in this sample did achieve full recovery despite being adults with long duration of illness and no family involvement, or having other characteristics typically associated with less favorable treatment outcome. For a more detailed description and interpretation of these statistics, click here. Since opening my practice in 2009, I have evaluated 14 patients who presented with a primary diagnosis of an anxiety disorder. All former patients who attended at least one treatment session with me following their evaluation were included in this sample (n = 9). Those who are currently still in treatment with me were not included in this sample. Please bear in mind that the results described below are specific to my practice and my patients, and should not be generalized to other therapists or other patient populations. The sample described includes nine female patients who ranged in age from 10 to 42 years old (median age = 22). The patients’ primary diagnoses were Panic Disorder (n = 3), Anxiety Disorder Not Otherwise Specified (n = 2), Acute Stress Disorder (n = 2), Hypochondriasis (n = 1), and Generalized Anxiety Disorder (n = 1). One-third of the patients (n = 3) had a comorbid diagnosis: one had Social Anxiety Disorder, one had Major Depressive Disorder, and one had Depressive Disorder Not Otherwise Specified. Duration of treatment ranged from one month to 11 months, with a mean duration of 5.6 months. Number of sessions attended ranged from 1 session to 18 sessions, with a mean of 10 sessions. The primary treatment model used was individual Cognitive Behavioral Therapy (CBT). The children in this sample (n = 2) each had a high degree of family involvement, with a parent participating in part of each session. All of the college-aged patients in this sample (n = 3) were treated individually but had some degree of family involvement, with a parent participating in at least one session over the course of treatment. Amongst the adult patients in this sample (n = 4), half had no family involvement and half had some family involvement, with a loved one attending one session over the course of treatment. None of the patients in this sample had a history of psychiatric hospitalizations before beginning treatment with me, and none of them needed to be hospitalized while in treatment with me. Forty-four percent (n = 4) of these patients took psychotropic medication during treatment. Approximately 56% of patients (n = 5) paid a reduced rate for my services based on their financial situation, and the remaining 44% (n = 4) paid my full rate. For the purposes of this study, “full remission” was defined as complete absence of anxiety disorder symptoms in the past two weeks, along with good social, occupational, and academic functioning. “Significant progress” was defined having substantially less severe and less frequent anxiety symptoms compared to intake, along with significant improvement in social, occupational, and academic functioning. “Some progress” was defined as having somewhat less severe and frequent anxiety symptoms compared to intake, along with fair social, occupational, and academic functioning. Forty-four percent (n = 4) of the patients in this sample completed treatment. The remaining 56% (n = 5) quit treatment prematurely. Seventy-five percent of the patients who completed treatment (n = 3) achieved full remission, and the remaining 25% (n = 1) made significant progress. Patients who quit treatment prematurely attended an average of 12 sessions before quitting. Amongst patients who quit treatment prematurely, 80% (n = 4) had made significant progress at the time of the last session they attended, and the remaining 20% (n = 1) had made some progress. Importantly, the only individual who did not make significant progress quit treatment after attending only an evaluation and one treatment session. In sum, patients with anxiety disorders responded very well to treatment in a relatively short period of time. All patients who attended more than two sessions experienced substantial improvement in anxiety symptoms as well as significant improvement in functioning, even if they did not complete a full course of treatment. In my last blog post, I described end-of treatment outcomes for patients with mood disorders. Here, I will elaborate on factors that were correlated with treatment outcome for these patients. Please be advised that these results are specific to my practice and my patients, and should not necessarily be generalized to other clinicians or populations. Type of mood disorder diagnosis was strongly correlated with treatment outcome. Patients with Depressive Disorder NOS (DDNOS; n = 3) fared best. Two-thirds of these patients (n = 2) completed treatment and achieved full remission. The remaining one-third (n = 1) attended treatment for two months and made significant progress before quitting prematurely. Patients with Mood Disorder NOS (MDNOS; n = 4) had varying outcomes. Half of them (n = 2) completed treatment; of these, one achieved full remission and the other made significant progress. Of the remaining MDNOS patients, one quit prematurely after making some progress and the other regressed and was referred to a higher level of care. Both of the patients in this sample with Dysthymic Disorder also had a diagnosis of Major Depressive Disorder (MDD). For statistical purposes, I am subsuming these individuals under the category of MDD, as that is the more severe of the two diagnoses. Patients with Major Depressive Disorder (MDD; n = 11) had varying outcomes. Eighteen percent (n = 2) completed treatment and achieved full remission; 9% (n = 1) quit treatment after making significant progress; 45% (n = 5) either quit treatment or moved away after making some progress; and 27% (n = 3) were referred to other providers. The presence of both dysthymic disorder and MDD (n = 2) did not have a consistent impact on treatment outcome – one of these individuals completed treatment and achieved full remission, while the other regressed and was referred to a higher level of care. None of the patients with bipolar disorder (n = 3) completed treatment or achieved full remission. However, one of the patients with bipolar disorder remained in treatment for over a year and made significant progress, but was eventually referred to another treatment provider to address other treatment needs. Presence of a co-morbid diagnosis was a negative prognostic factor. Only 18% (n = 2) of the patients with comorbid disorders completed treatment, and only 9% (n = 1) achieved full remission, while the remaining 9% (n = 1) made significant progress. In contrast, 40% (n = 4) of patients without a comorbid diagnosis completed treatment, and all of these patients achieved full remission. Patients who did not take psychiatric medication during treatment with me were more likely to make progress in treatment and more likely to achieve remission than those who took psychiatric medication. All of the patients who did not take medication (n = 8) made at least some progress in treatment. In contrast, 30% of those who took medication either made no progress (n = 2) or regressed (n = 2) during treatment. Half of the patients who did not take medication (n = 4) achieved remission by the end of treatment, compared to 8% (n = 1) of those who took medication. My hypothesis is that patients who took medication had poorer outcomes not because their medication didn’t work or made them worse, but rather because taking medication is confounded with severity of mood disorder and with comorbidity. In other words, those with more severe mood disorders and/or comorbid conditions were more likely to require medication in order to function, whereas those with mild to moderate mood disorders were less likely to need medication. Younger age was a significant predictor of treatment completion. Patients who completed treatment ranged in age from 16 – 29, with an average age of 19.7. Those who did not complete treatment ranged in age from 12 – 59, with an average age of 28.6. Being under 18 years old was a protective factor. None of the adolescents under 18 quit treatment prematurely. Of the 6 adolescents in this sample, 50% (n = 3) completed treatment and attained full remission, 33% (n = 2) were referred to other treatment settings after a year or more of treatment with me due to other needs, and the remaining 16% (n = 1) engaged in treatment as a 17-year-old and made some progress, but quit shortly after his 18th birthday. I suspect that the high level of parental involvement that I require for adolescent patients is the primary reason why they are likely to remain in treatment and have positive outcomes. In addition, younger patients tend to have shorter duration of illness compared to adult patients, and early intervention is also predictive of positive outcome. For patients over 18, family involvement often included spouses and significant others instead of parents, based on the patient’s living situation and relationship status. Sixty percent (n = 9) of the patients over 18 in this sample had no family involvement whatsoever, 27% (n = 4) had a low level of family involvement, and 13% (n = 2) had a moderate level of family involvement. None of the patients over 18 had a high level of family involvement. Importantly, amongst the adults in this sample, family involvement was not necessary in order to make progress in treatment or attain remission. None of the adults who attained full remission (n = 2) had family members involved in their treatment. Likewise, 67% (n = 2) of the adults who made significant progress in treatment had a low level of family involvement and 33% (n = 1) had no family involvement at all. None of the patients over age 30 (n = 5) completed treatment. I hypothesize that there are several reasons for this: 1.) Older patients had a longer duration of illness, which means that their illness was more entrenched and more difficult to treat; 2.) The majority of these patients (80%; n = 4) had no family support at all; 3.) All of these older patients paid reduced rates for my services, which indicates that they were of lower socio-economic status, and which may suggest that they value my services less than those who pay full price; 4.) I saw all of these patients during my post-doctoral year, when I was less experienced and not yet fully licensed. Therefore, it is reasonable to assume that the quality of my services was somewhat lower back then than it is now that I am fully licensed and more experienced; and 5.) I prefer working with child and adolescent patients and find that I tend to be more effective with them. For these reasons, particularly #5, I no longer treat adult patients beyond their mid-twenties. Average duration of treatment was comparable for males and females (6.8 months vs 7.4 months, respectively). Rates of remission were similar between males and females. Twenty percent (n = 1) of males completed treatment and achieved remission, compared with 25% (n = 4) of females. However, amongst those who did not achieve remission, females were more likely to make significant progress than males. Twenty-five percent (n = 4) of females made significant progress, compared with none of the males. Hospitalization during treatment with me predicted regression in treatment. Of the patients who were hospitalized during treatment with me, 67% (n = 2) had regressed by the end of their treatment with me. In contrast, none of the patients who were not hospitalized during treatment had regressed as of their final session with me. I hypothesize that patients who remained out of the hospital during treatment with me were responding well to treatment, which would explain why they were more likely to achieve remission or at least make significant progress. In contrast, being hospitalized during treatment may have been an indication that the patient was not responding well to treatment, which explains why they were likely regressed as of their last session with me. Surprisingly, history of hospitalization before entering treatment with me was not related to outcome. Of the 8 patients who had been hospitalized previously, 25% (n = 2) achieved remission, 25% (n = 2) made significant progress, 38% (n = 3) made some progress, and only 12% (n = 1) regressed in treatment with me. These percentages are comparable to those of the 13 patients who had not been hospitalized before beginning treatment with me: 23% (n = 3) achieved remission, 15% (n = 2) made significant progress, 38% (n = 5) made some progress, 15% made no progress, and 8% (n = 1) regressed. I would have suspected that history of hospitalization would be confounded with illness severity, and therefore would predict poor treatment outcome. However, it is possible that the individuals who had been hospitalized before entering treatment with me had not been given appropriate outpatient treatment, hence the escalation of illness need for hospitalization. Perhaps these patients were able to benefit from their treatment with me, and it is possible that, in some cases, hospitalization could have been avoided if they had received effective outpatient treatment sooner. Attendance at therapy sessions was correlated with treatment retention as well as treatment outcome. Sixty-seven percent (n = 4) of those who completed treatment attended all of their appointments, while the remaining 33% (n = 2) had only one missed appointment. Eighty percent of patients who attained full remission (n = 4) had perfect attendance in therapy; the remaining 20% (n = 1) missed only one appointment. None of the patients who missed more than one appointment completed treatment or achieved full remission. I suspect this relates to the old adage: “You get out of it what you put into it.” A patient who frequently misses appointments probably places little value on their mental health, which may explain why they tended to drop out of treatment prematurely. Those who were diligent about their treatment prioritized their mental health and worked hard in therapy. Those who were conscientious and responsible about attendance were, most likely, conscientious and responsible about completing therapy homework, taking their medication consistently, and making positive life choices in general. Thus, it is natural that these individuals had better treatment outcomes. Payment of full fee for services was a predictor of treatment completion and achieving full remission. Sixty-seven percent of patients (n = 2) who paid my full rate completed treatment, compared with only 22% of patients (n = 4) who paid a reduced rate. Given that so few patients in this sample paid my full rate (n = 3), it is difficult to draw any conclusions about how these individuals differ from those who pay a lower rate. However, in my practice, the correlation between payment of full services and better treatment outcome has been consistent across diagnoses, regardless of the number of clients in the sample. As I have noted in recent posts, individuals who pay lower fees are, by definition, of lower socio-economic status (SES). These individuals may have more financial stressors than those of higher SES, and may have other life obstacles in general (limited access to healthcare, transportation difficulties, unemployment, single parent families) which interfered with their ability to progress in treatment. In addition, those who pay reduced rates were much more likely than those who pay full rate to no-show for sessions or to cancel at the last minute. This finding suggests to me that, on average, individuals who paid reduced fees placed less personal value on their sessions, had less respect for my time, did not prioritize their recovery, and/or were generally irresponsible, compared with individuals who paid full rate. 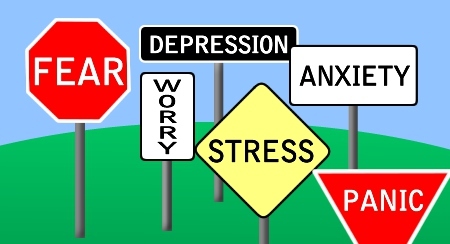 Since opening my practice in 2009, I have evaluated 30 patients with mood disorders. Former patients who attended at least one treatment session with me following their evaluation were included in this sample. Patients who are currently in treatment with me were not included in this sample. As you read, please bear in mind that these data are specific to my practice and my patients, and should not be generalized to other therapists or other patient populations. The 21 patients in this sample had a range of different mood disorder diagnoses. The most common diagnosis was Major Depressive Disorder (43%; n = 9). Other mood disorder diagnoses included Mood Disorder Not Otherwise Specified (19%; n = 4), Depressive Disorder Not Otherwise Specified (14%; n = 3), Bipolar Disorder (14%; n = 3), and Dysthymia (10%; n = 2). Approximately one quarter of the sample (24%) was male. Patients ranged in age from 12 to 59, with a median age of 21. Most of these patients had been suffering from their mood disorder for years before beginning treatment with me, and most had received some sort of psychological or psychiatric treatment in the past. Duration of illness prior to intake ranged from 1 month to 35 years, with an average duration of 8.4 years. These figures reflect the length of time since symptoms began, which is usually substantially earlier than diagnosis. Many mood disorders, such as Major Depressive Disorder and Bipolar Disorder, tend to be episodic, characterized by periods of remission and periods of relapse. Thus, the “duration of illness prior to treatment” figures reflect the total length of time from the onset of first symptoms to the initial session with me. Many patients had periods of mild or absent symptoms and good functioning in between mood disorder episodes. Most of the patients in this sample had relatively severe forms of mood disorders. Thirty-eight percent of them (n = 8) had been hospitalized for a suicide attempt, suicidal gesture, or related psychiatric issue prior to beginning treatment with me, and many of these individuals had been hospitalized multiple times. Fourteen percent of patients (n = 3) had to be hospitalized during the course of their treatment with me. This sample was ethnically diverse, comprised of 43% White Hispanic, 43% White Non-Hispanic, 10% multi-racial, and 4% Black Hispanic. The majority of patients in this sample (86%; n = 18) paid a reduced fee for my services; only 14% (n = 3) paid my full rate. Thus, most of these patients were of lower socio-economic status and/or were college students responsible for supporting themselves. Approximately half of the sample (52%; n = 11) had a comorbid psychiatric disorder. The most common comorbid diagnoses were Anxiety Disorder Not Otherwise Specified (14%; n = 3) and Eating Disorder Not Otherwise Specified (14%; n = 3). The patients in this sample received various types of treatment, depending on their age and symptoms. Nearly half of the patients in this sample (48%; n = 10) received Cognitive-Behavioral Therapy (CBT). Patients whose illnesses were characterized by impulsivity and self-harm received a Dialectical Behavior Therapy (DBT) skills-based approach (38%; n = 8). Patients with milder symptoms and social difficulties received supportive counseling focused on self-care and interpersonal relationships (14%; n = 3). Sixty-two percent of patients (n = 13) were also seeing a psychiatrist and taking psychotropic medication during their treatment with me. The level of family involvement in a patient’s treatment varied based upon his or her age, symptoms, and preferences as well as logistics. In this sample, 43% (n = 9) of patients had no family involvement, 19% (n = 4) had a low level of family involvement, 19% (n = 4) had a moderate level of family involvement, and 19% (n = 4) had a high level of family involvement. I require the parents of all patients under 18 to be fully informed and actively involved in their child’s treatment. Therefore, all patients under 18 in this sample had moderate to high degrees of family involvement in treatment. This means that the patient’s parents participated fully in the evaluation and treatment planning, and participated in a portion of most therapy sessions (e.g., the last 10 minutes of each session) for the purposes of providing feedback, setting goals, and evaluating progress. These parents also had regular access to me via phone and email for the purpose of sharing information about their child and asking questions. For patients over age 18, family members were involved as appropriate, as needed, and as requested by the patient. For example, many college-aged patients had parents involved in their treatment, particularly when it came to issues of psychiatric consultation and hospitalization. Patients in this sample attended between 1 and 96 sessions, with a mean of 19 sessions. Duration of treatment ranged from 1 month and 39 months, with a mean duration of 7 months. In other words, the typical mood disorder patient attended 19 sessions over the course of 7 months. Twenty-nine percent of patients (n = 6) completed treatment and 38% (n = 8) quit treatment prematurely. I referred twenty-four percent of patients (n = 5) to other treatment providers who could better meet their needs, and 9% of patients (n = 2) moved to other geographic locations during their treatment and were referred to other providers near their new homes. Patients who completed treatment attended between 1 and 96 sessions, with an average of 23 sessions. Duration of treatment for those who completed treatment ranged from 1 to 39 months, with an average duration of 11 months. Thus, it typically took approximately 23 sessions over the course of 11 months to complete treatment. Each patient was given an end-of-treatment rating which describes their state as of their final session with me, regardless of the reason why treatment ended. •	Patients were classified as being in “full remission” if they had not experienced any symptoms of their mood disorder within the past two weeks, and their social / occupational / academic functioning were good. •	Patients were classified as having made “significant progress” if their mood disorder symptoms over the past two weeks were substantially less severe, less frequent, and less intense than at intake, but were still occurring, and their social / occupational / academic functioning were relatively good. •	Patients were classified as having made “some progress” if their symptoms over the past two weeks were somewhat less severe and less frequent than at intake, and if their social / occupational / academic functioning were fair. •	Patients were classified as having made “no progress” if the frequency, intensity, and duration of symptoms had not improved since intake, and social / occupational / academic functioning had not improved since intake. •	Patients were classified as “regressed” if their symptoms over the past two weeks were more severe or more frequent than at intake and their social / occupational / academic functioning had declined since intake. Of the patients who completed treatment, 83% (n = 5) achieved full remission from their mood disorder and 17% (n = 1) made significant progress. Of the patients who quit treatment prematurely, 25% (n = 2) had made significant progress by their last session with me, 63% (n = 5) had made some progress, and 12% (n = 1) had made no progress. Among the patients whom I referred to other providers, 40% (n = 2) regressed during their treatment with me, 20% (n = 1) made no progress (n = 1), 20% (n = 1) made some progress, and 20% (n = 1) made significant progress. In my next post, I will discuss factors that are correlated with treatment completion and good outcome in these mood disorder patients. •	The vast majority of patients with any diagnosis who completed treatment achieved full remission. •	The attrition rate, overall, was high. •	Family-Based Treatment (FBT) was associated with treatment retention, meaning that patients who participated in FBT were less likely to discontinue treatment prematurely than those receiving individual therapy. •	Patients who paid a reduced rate for services were much less likely to complete treatment and much less likely to achieve remission than those who paid full rate. •	Hospitalization during treatment with me was not related to treatment completion or treatment outcome, regardless of diagnosis. •	History of intensive eating disorder treatment (e.g., residential treatment, day treatment) was related to treatment non-completion and poorer outcome for patients across diagnoses. •	Patients with AN who completed treatment attended more sessions, over a longer period of time, than patients with BN or EDNOS. Completing treatment for AN involved an average of 28 sessions over 17 months, whereas completing treatment for BN or EDNOS involved an average of 15 sessions over 10 months. •	Type of treatment had a significant impact on outcome for patients with AN but not for patients with BN or EDNOS. All AN patients who achieved remission did so through FBT. However, patients with BN and EDNOS achieved remission through various means, including individual therapy with no family involvement, individual therapy with family involvement, and FBT. •	Younger age at intake and shorter duration of illness predicted treatment completion and remission for patients with AN. However, neither age nor duration of illness affected treatment outcome for patients with BN or EDNOS. •	All “treatment non-completers” with AN (those who quit prematurely, moved away, or were referred to other treatment settings) discontinued treatment within the first six months. In contrast, a number of “treatment non-completers” with BN or EDNOS remained in treatment for more than a year. •	Among patients with AN, those who completed treatment attended significantly more sessions than those who did not (28 sessions vs. 8 sessions) and remained in treatment for a much longer time than those who did not (17 months vs. 3 months). In contrast, for patients with BN and EDNOS, treatment completers and non-completers both remained in treatment for an average of 10 months, and treatment non-completers actually averaged more sessions than treatment completers (20 sessions vs. 15 sessions). Thus, it appears that for BN and ENDOS, treatment completers did not remain in treatment longer, but rather reached remission more quickly. •	Caucasians with AN were slightly more likely than Hispanics with AN to complete treatment and achieve remission. In contrast, Hispanics with BN or EDNOS were significantly more likely than Caucasians with these diagnoses to complete treatment and achieve remission. •	The presence of a comborbid disorder was not related to treatment completion or treatment outcome for patients with AN. However, the presence of a comorbid disorder was a significant predictor of treatment dropout and poorer outcome for patients with BN and EDNOS. •	History of hospitalization for an eating disorder or related psychiatric issue was related to poorer outcome for patients with BN and EDNOS, but not for patients with AN. •	Taking psychotropic medication during treatment was related to treatment completion and positive outcome for patients with AN but not for patients with BN or EDNOS. Please bear in mind that these findings are specific to my practice and my patients, and are not intended to be generalized to other treatment settings or other patients.